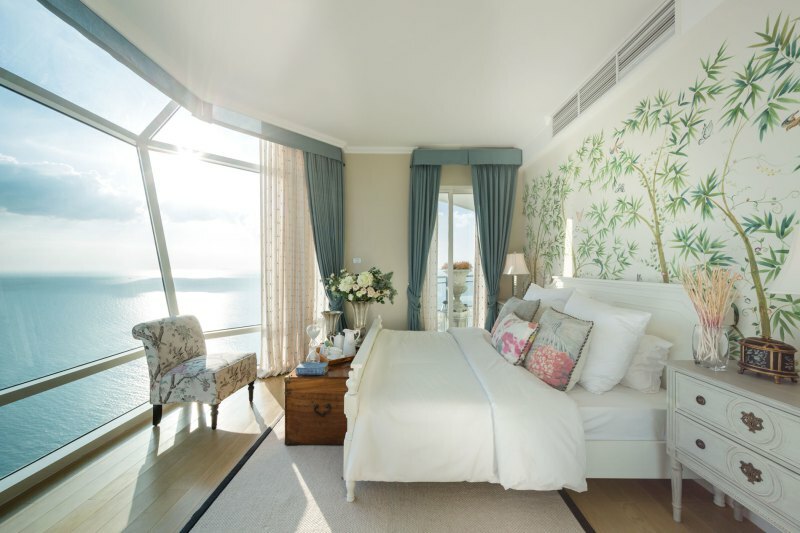 The rooms in this building naturally take full advantage of their beachfront location. 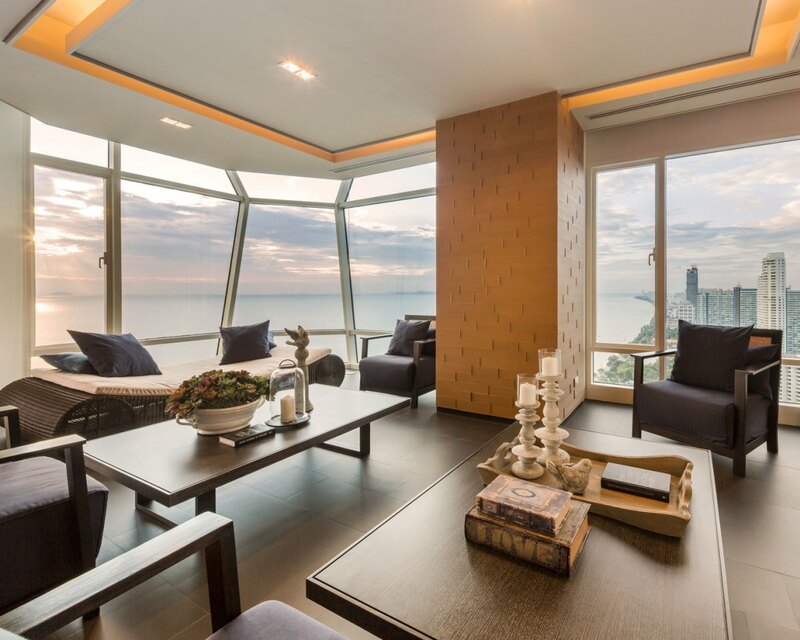 The higher the floor, the more expansive the panorama from these condos. 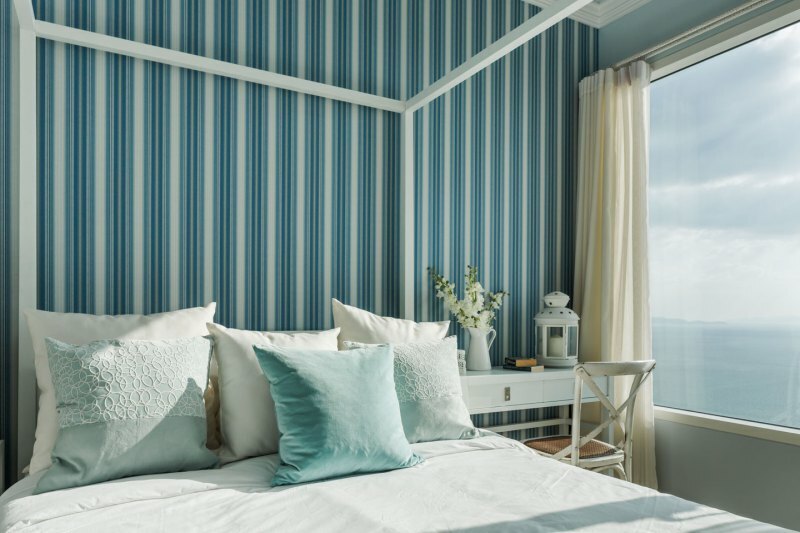 Modern interior decor is comfortable and not too fussy, meaning it is easy enough to come inside from a day spent on the sand and not worry about leaving a few grains on the wooden furniture. 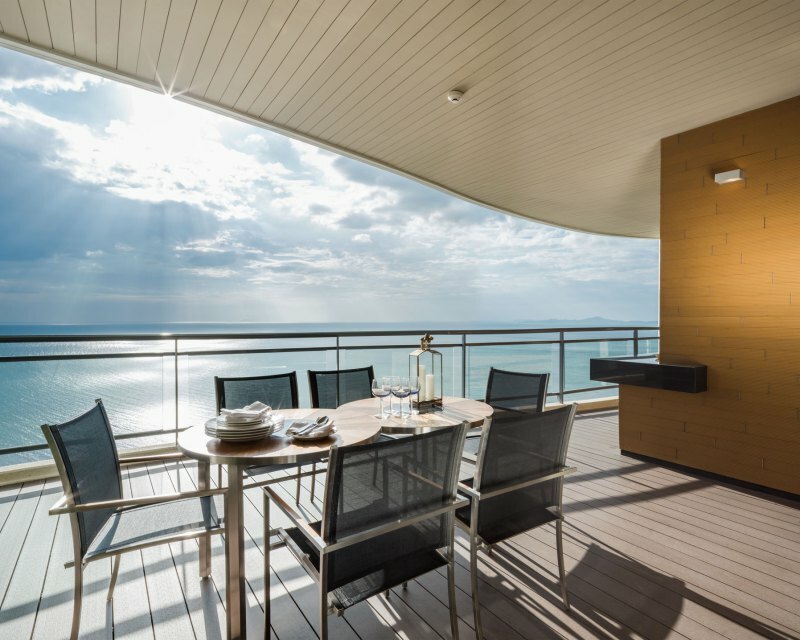 Outdoor spaces are another important part of the design, letting occupants lounge in the temperate climate without leaving their rooms. 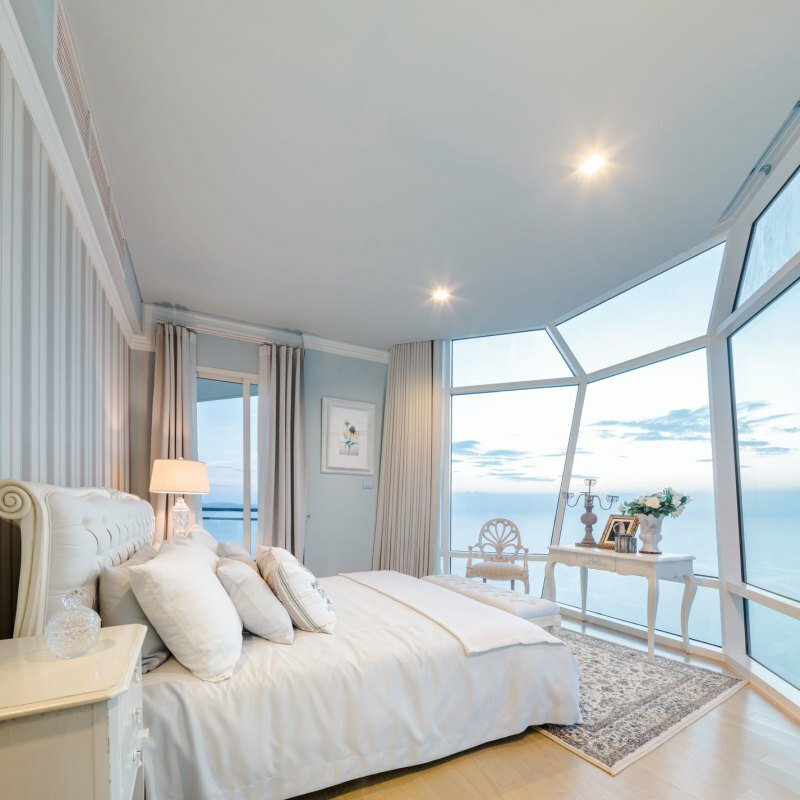 In an example of the height of luxury, this capsule bedroom makes the lucky occupant feel as if they are drifting off to sleep on the deck of a luxury yacht, gazing out over the beautiful water (with none of the seasickness). The gathering areas of the building are also modern and welcoming. 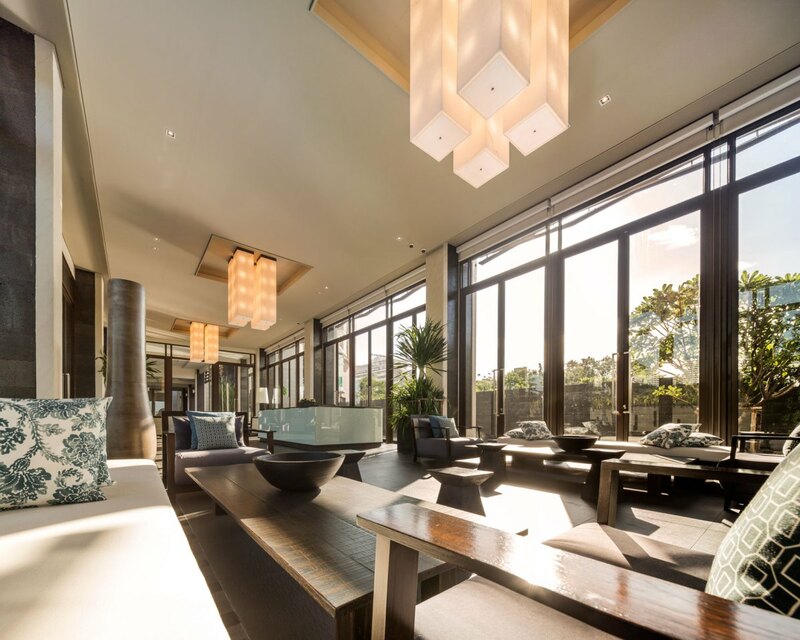 These include extensive lounge areas for meeting with friends or relaxing amongst the bustle of visitors, as well as private gym facilities and luxury dining options. Other bedrooms take a bit more inspiration from the nearby jungles, with handpainted forests on the walls and pretty florals upholstery. 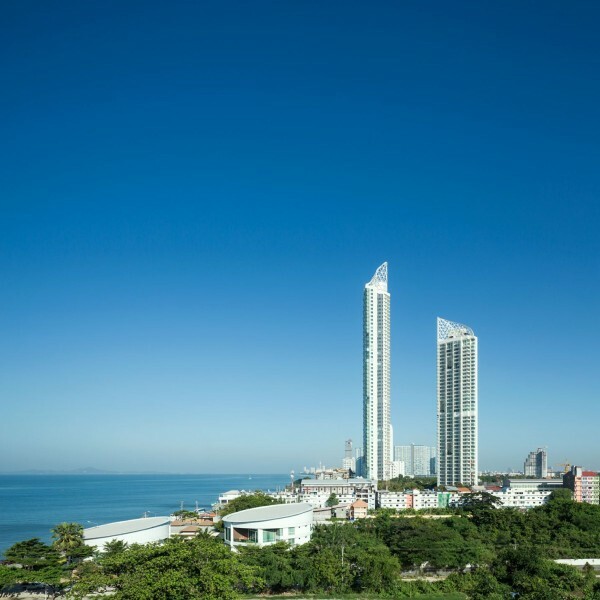 The exterior of this development is certainly not subtle with the ocean-inspired shapes rising up and above the otherwise short skyline of the Pattaya community.